Harry Houdini is often compared to Barnum because they both were expert publicists. They both knew how to draw a crowd and give audiences something to talk about. But how much of a connection was there between the two men? Though the two men never met, they have many things in common. Their first connection to each other begins the year before Houdini was born. But first we must venture back in time to 1865, when John Nevil Maskelyne sought about to expose the famous Davenport Brothers. He introduced something he called The Indian Box trick. The box is a pine plank box 3ft by 2ft and 18 inches deep. Maskelyne was placed into the box, the entire thing locked up and roped up, some bells and other devices were placed on the lid and a curtain closed around it. No sooner did the curtains close than the sound of ringing bells and other noises emanated from the curtained cabinet. Eventually, the bells were thrown clear out of the cabinet. When it was opened, Maskelyne was found smiling, still inside the box. For those who don't know, this box was the precursor to the Substitution Trunk. But in it's original incarnation it was not used as a substitution or exchange effect. By the 1870s, Maskelyne's routine had changed and he was now getting into the box and out of the box magically. was locked and tied with ropes. Then a plank was put over the top of the box and a boy climbed on top of the plank. A large wicker basket was placed over the boy and locked to the plank by way of padlocks. 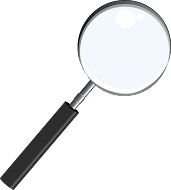 A curtain then went around the entire affair and in a little over a 90 seconds, the curtain was pulled away, the boy was found missing from the wicker basket and now was inside the trunk. In 1873, after seeing this wonderful mystery in London, P.T. Barnum purchased the Indian Box Trick from Dr. Lynn. He began featuring articles in American papers that upon his return he would present this great mystery. Here was Barnum's announcement..."Mr. P.T. 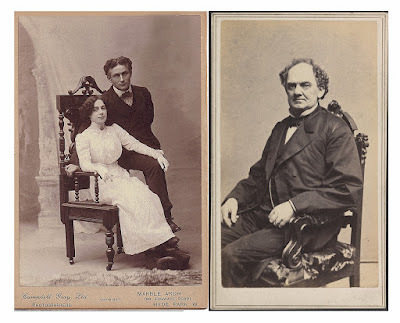 Barnum, at present in London, telegraphs to his agent here that he has purchased from Dr. Lynn for 1000 pounds sterling the wonderful Indian Box Trick, which has puzzled the metropolis, and filled the clever Doctor's coffers for the past few months. Mr. Barnum will produce the trick upon his return." However, a disgruntled former employee beat Barnum to the punch. 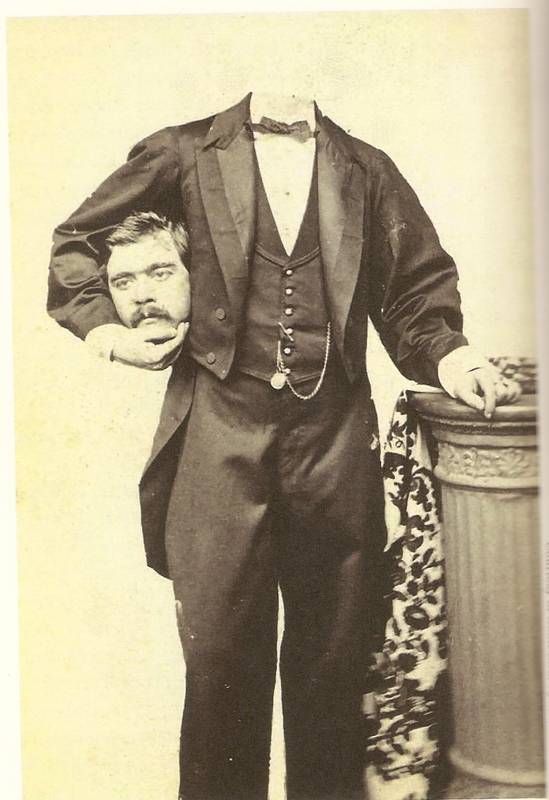 A magician by the name of Henry Hatton, had heard what Barnum was planning and was prepared to debut the illusion before Barnum returned. On December 15, 1873 Hatton debuted the trick and began to tour with it. That was not the end of the trouble for Barnum. On Jan 15th, 1874, some idiot reporter at The News Journal in Wilmington Deleware, revealed the entire workings in great detail on the effect on the front page of the newspaper! I would like to note however, what the reporter from The News Journal described was the canvas covered trunk, a slight variation from the Indian Box. And rather than a wicker basket being placed on top of the trunk, a cloth sack was placed on top with the assistant inside. The illusion at this point was still mostly a one person operation, with the exception of the second person who let the other magi out of the trunk at the conclusion of the act. Barnum did have the trick presented upon his return and for a long while billed it as "The $2500 Box Trick", no doubt presenting it as different from the Indian Box trick, even though it was the same. Barnum would have started presenting the $2500 Box Trick right around the time that Erich Weiss was born. And a few years later, as a lad in Wisconsin, Erich would have seen Dr. Lynn present his version of the trick which he called "The Locked and Corded Box Mystery." Of course, this illusion would be the corner stone of Weiss/Houdini's career as he broke into show business. And this is connection #1 The Sub Trunk and connection #2 Dr. Lynn. In 1862, William Mumler, a jeweler, who was interested in photography accidentally created the first spirit photograph. He knew it was a double exposure, but friends and family who saw the image, assumed it was a ghost that had been captured on film. Mumler's attitude towards the mistake changed and he soon began taking 'spirit photos' for hire. Eventually, in 1868 he moved to New York from Boston and set up shop in the big city. It was here that he came to the attention of P.T. Barnum. 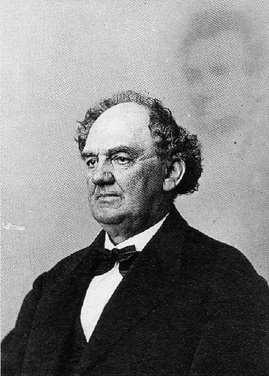 Mr. Barnum was a critic and hired a photographer to try and duplicate the process, which he successfully did. Mumler also came to the attention of the law and was brought up on charges of fraud and arrested. At his trial, P.T. Barnum testified against him. In 1865, a couple years before the Mumler event, Barnum wrote a book called, The Humbugs of the World, In the book he offered $500 to any medium who could prove power to communicate with the dead. Doesn't that challenge have a familiar ring to it? Houdini later in life would offer similar challenges. So P.T. 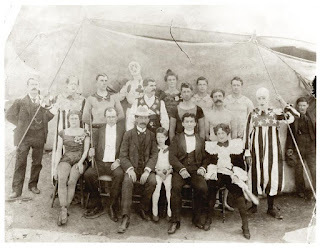 Barnum was also a Spirit Debunker, just like Houdini, connection #3.
would go on tour with the circus and be one of the leading attractions. Jumbo was 13 ft tall and weighed over 13,000lbs. In 1918, Harry Houdini presented his illusion, The Vanishing Elephant, on the stage of the Hippodrome Theatre in NYC. 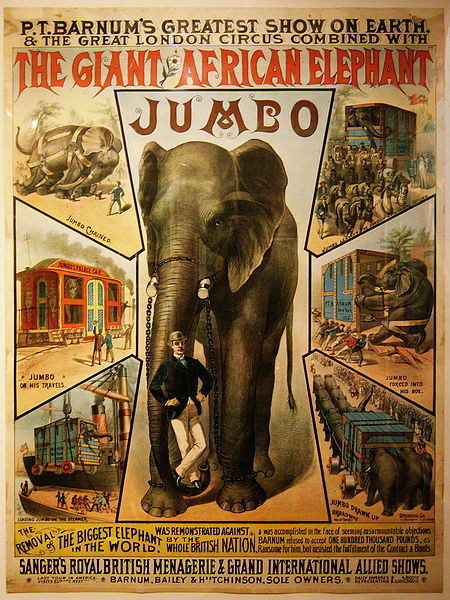 The elephant he used was called Jennie, and Houdini claimed she was the daughter of Barnum's Jumbo. This was not the case, though I suppose one could claim it's possible they were related, after all they were elephants. Jenny weighed over 10,000 lbs according to Houdini. The Vanishing Elephant Illusion is pure Barnum in both idea and execution. It was the largest illusion ever presented at it's time. It used one of the largest animals on the planet. Apparently, in the huge auditorium of the Hippodrome, only those sitting directly in front of the Vanishing Elephant Box could even tell the animal vanished, everyone else had to take it on faith. Yep, Barnum would be proud. They were both authors, which could be said of many people. I find one book interesting in particular written by Barnum, The Humbugs of the World. Found within the pages are discussions of hoaxes, medicinal quacks, religious humbugs, spiritualists, ghosts, and personal recollections. It reminds me of a couple of Houdini's books, The Right Way To Do Wrong, and Miracle Mongers and Their Methods. Both men were shining a light on the underbelly of society and making people aware of the scams out there. to it. Houdini joined the Welsh Brothers Circus in 1895, four years after Barnum had passed away. Barnum on the other hand created "P. T. Barnum's Grand Traveling Museum, Menagerie, Caravan & Hippodrome," a traveling circus, menagerie and museum of freaks. Barnum began his circus in Delevan Wisconsin. Houdini, as a boy of 12 ran away from home and ended up in Delevan Wisconsin. 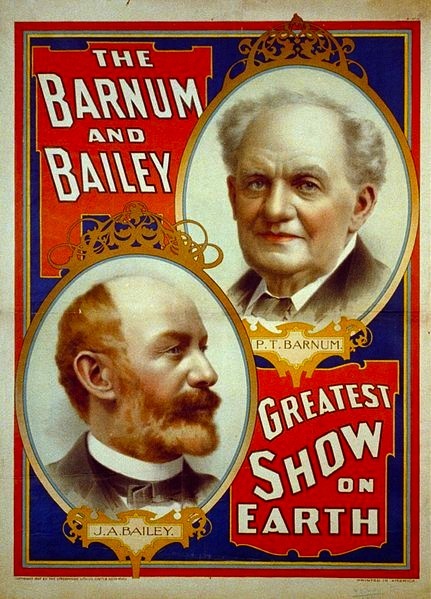 Eventually, Barnum partnered with James Bailey and became the Barnum and Bailey Circus. Soon he would add, The Greatest Show on Earth, to the title. 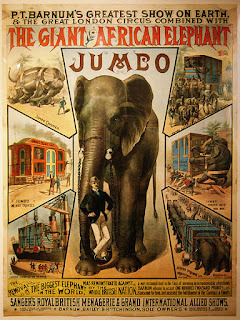 The Barnum and Bailey Circus was later sold to the Ringling Brothers but this was after P.T. Barnum had passed away. Houdini started in the circus, Barnum ended in the Circus. 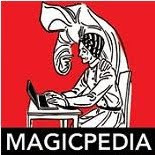 From the book, HOUDINI by Kenneth Silverman, pg 89 "He (Houdini) learned much as well from the practice of promotion by inundation, "mammoth advertising," as he called it- used by 19th Century Circuses and medicine shows, which sometimes plastered a town with thousands of posters." This practice, may have actually come from either Barnum or John Henry Anderson. And if it came from Anderson, then it was from him that Barnum learned it. During a tour of England, Houdini used thirty six thousand advertising sheets in a 7 month period. T. Nelson Downs, a good friend of Houdini and who was in England at the same time, called Houdini, 'The P.T. Barnum of today.' This is where Houdini is most often compared to Barnum, in the marketing and promotions department. Houdini was a master promoter, a master at getting publicity. Barnum, who came before Houdini, could probably be considered the Father of Publicity and Promotion. Connection #7 both tireless master self promoters. Houdini and Barnum were both showmen. I think it would be impossible to dispute this fact. Others in Houdini's time presented escapes. In fact, they were doing escapes before Houdini was around and now long after Houdini has been dead, but no one has captured the public's imagination with escapes like Harry Houdini. He transformed the genre by doing escapes outdoors, and making spectacles of his escapes. Barnum made a spectacle out of everything he did. Consider his Feejee Mermaid. A total hoax, but people loved it. It was one thing that got them in the door, but once inside, Barnum would give them an experience they would never forget. This is why he searched the globe for oddities that no one had seen before. Even in their failures they were a success. 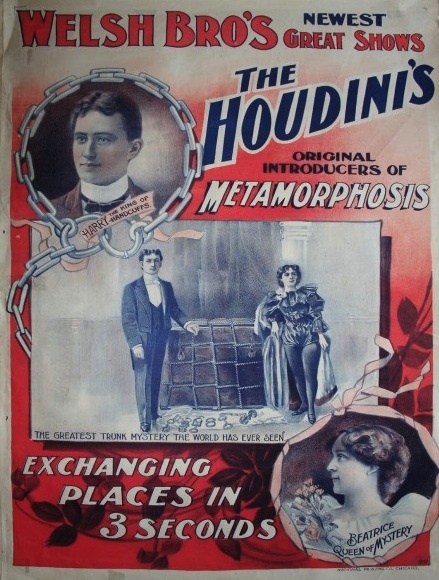 Houdini's movie career did not quite go the way he had hoped and he lost a lot of money. Imagine how thrilled he would have been to see the excitement displayed over the discovery of a complete print of The Grim Game, and how much fanfare there was when the restored film was shown for the first time in ages. Barnum had failures as well but he always rebuilt, he always turned it around. He lost his museum in a fire, along with all the oddities within. But he rebuilt. When the second museum burnt down, he took his show on the road. He never quit, never gave up. I'd say despite the fact they were born years apart, and never met one another, they were certainly cut from the same cloth. Connection #8 they were both SHOWMAN.